VALIS Engineering provides movable jet-blast and jet-wake deflectors, as well as portable blast safety fences, ground run-up enclosures (GREs), and noise enclosures and reduction screens. The group offers services ranging from design to manufacturing, and from installation to maintenance, with a full life-cycle guarantee on all of its solutions. VALIS has more than 20 years of experience in industrial acoustics, with a portfolio of more than 600,000m² of installed noise barriers. Current airport expansion projects are met with increasing challenges due to their impact on populations and construction periods on airport operation. Minimising these problems is itself a challenge as some have multiple reflexes, from safety issues inside the airport to noise levels affecting the neighbouring populations. VALIS jet wake deflectors reduce noise while improving their application range and increasing return on investment (ROI). 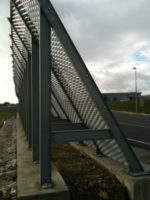 VALIS designs and supplies a complete range of jet-blast protection products, from fixed and movable deflectors, to noise and blast deflecting screens. These are essential to the safety of construction site and airside operations. The company’s blast fences, deflectors and noise screens are designed for full-power engine operations. Radar neutrality and ILS compatibility are achieved with the company’s range of fibreglass blast deflectors. Noise reduction is an ongoing concern for airports and a major environmental issue that is closely watched by legislators and communities. VALIS supplies solutions for noise management programmes, which are an integral part of airport management and have had positive repercussions on recent traffic management and ground operations. 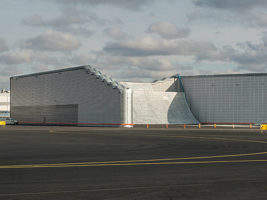 The company’s solutions reduce noise originating from maintenance, repair and operations (MRO), which is a large cause of noise disturbance for communities, passengers and airport staff. With most GREs, airport infrastructure managers are faced with the need for an investment that has little or no return but is an absolute requirement for the welfare of the community and environmental regulations. 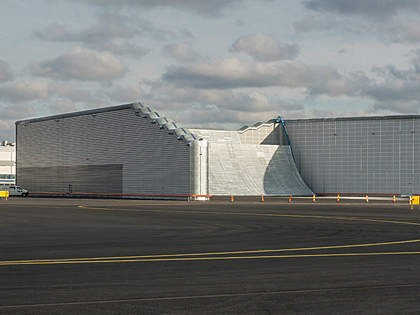 Beside noise reduction, this investment decision must also consider the characterisation of limiting aircraft, number of run-ups, predominant wind directions and available space at the airport. In an ever-changing business environment, optimisation of this investment can be achieved by choosing a VALIS upgradable GRE. VALIS GREs are designed for each International Civil Aviation Organisation (ICAO) aircraft class but allow for class upgrades with comparable little future investment, allowing clients to spend gradually as their requirements grow. 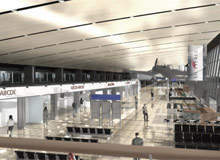 VALIS will be exhibiting its latest airport engineering projects from across the world at the Airport Show in Dubai. VALIS - Engenharia e Inovação, S.A.